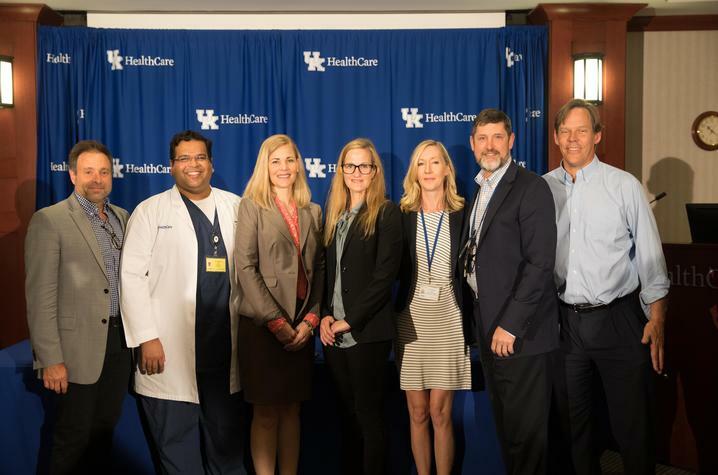 LEXINGTON, Ky. (May 8, 2018) — With a $4.9 million contract from the Patient-Centered Outcomes Research Institute (PCORI), the University of Kentucky will expand and improve treatment for pregnant women with opioid use disorder (OUD) in rural areas of Kentucky. The need for multidisciplinary comprehensive treatment for OUD was seen across multiple disciplines - members of the Department of Obstetrics and Gynecology and Department of Psychiatry in the UK College of Medicine, as well as faculty and staff in the UK College of Nursing, worked together to develop and launch the Perinatal Assistance and Treatment Home (PATHways) program. PATHways integrates evidence-based knowledge through a comprehensive approach to perinatal OUD, offering buprenorphine maintenance treatment, neonatal abstinence syndrome reduction education, peer support, legal support, prenatal and post-natal health services for mother and baby and health system navigation during delivery. Since 2014, there has been significant success with the program, including fewer babies being diagnosed with neonatal abstinence syndrome (NAS), more babies going home with their birth mothers and more mothers staying off of illicit opioids. 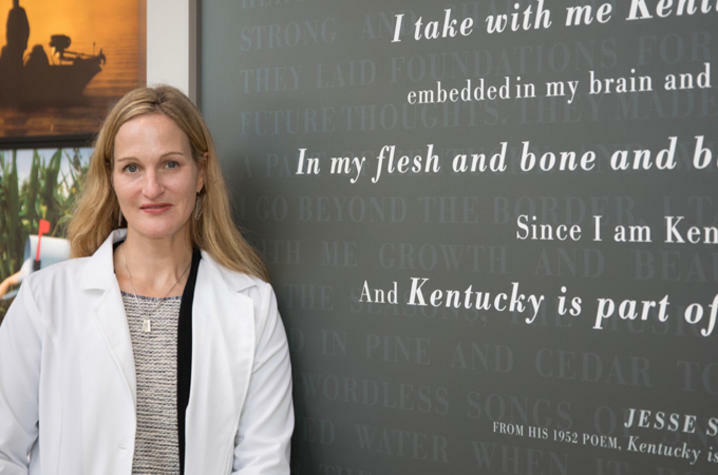 In the study, funded with the PCORI contract, Dr. Agatha Critchfield, assistant professor of obstetrics and gynecology in the UK College of Medicine and medical director of PATHways, along with a multidisciplinary team, will compare two elements of the PATHways program in rural areas of Kentucky. In one area of the study, women will attend pregnancy/parenting support and education groups led by a trained nurse and a peer support specialist every other week. In the other, women will have meetings via telemedicine with specialists in high-risk pregnancy, addiction care, pediatrics or substance counseling. The goal is for women to receive enhanced substance abuse care in their home communities, which is especially important to patients living in rural areas. The outcomes being examined are the long-term success of women in their recovery, the health of their babies and the continuation of the maternal-infant dyad. 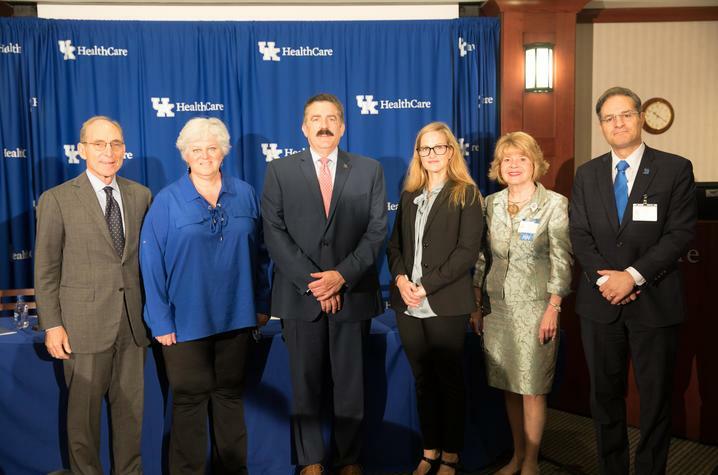 "UK is at the forefront of the opioid epidemic that is plaguing Kentucky – as clinicians treating the afflicted and as researchers seeking answers on how to stop the addiction from spreading," said UK President Eli Capilouto. "As the Commonwealth’s flagship, land-grant institution, the University of Kentucky is committed to meeting the challenge of opioids head on – and this is one example of work being done directly impacting and helping people in communities across the state." Expanding access to the program that has positively impacted the lives of over 200 women is one of the reasons Critchfield wants to see the program expand. 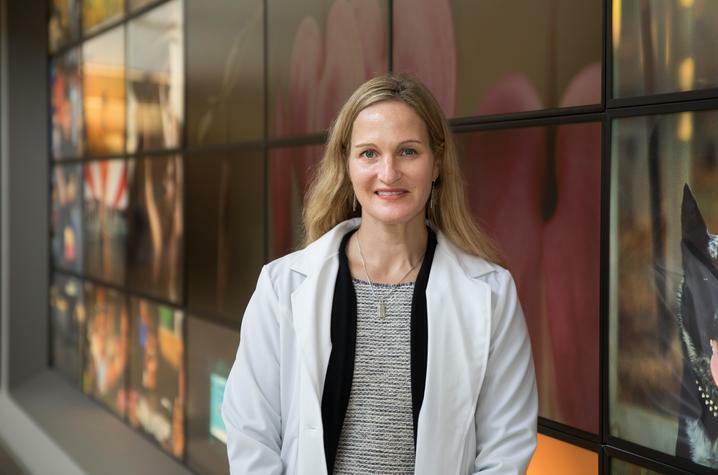 "The PATHways program has seen great successes during the first three years that we have been in operation including reduced neonatal withdrawal, less maternal relapse and more infants going home with their mothers," she said. "However, at this time, PATHways is only available at our main health care campus in Lexington and many patients with opioid use disorder reside great distances from our clinical home and have transportation difficulties that make it impossible for them to access this level of comprehensive care." The overall goal of the study is to address this health care epidemic where care is needed most and to define the optimal strategy to reach rural settings and improve perinatal substance abuse care throughout Kentucky, she said. "We hope our findings will serve as a model for other areas in the US that struggle with delivery of substance abuse services in rural settings." Critchfield's award has been approved pending completion of a business and programmatic review by PCORI staff and issuance of a formal award contract. Among those providing a letter of support for the funding were U.S. Rep. Andy Barr. PCORI is an independent, nonprofit organization authorized by Congress in 2010. Its mission is to fund research that will provide patients, their caregivers, and clinicians with the evidence-based information needed to make better-informed healthcare decisions.